In this modern world there's a term that keeps popping up over and over again; Sharing Economy. But what does it mean exactly? Sounds great, right? Sharing your off street parking to a commuter, renting out a room for a lodger, or maybe even letting out your entire house for holiday makers, there's no denying this is an intriguing concept. So how do you make it happen for you? There are many sites on the world wide web, but perhaps most popular is Airbnb. You can let your home out for weekly getaways, or share a room to meet new people and make a bit of extra cash along the way. I’ll admit though, the thought of having essentially a stranger staying in your home can be daunting. 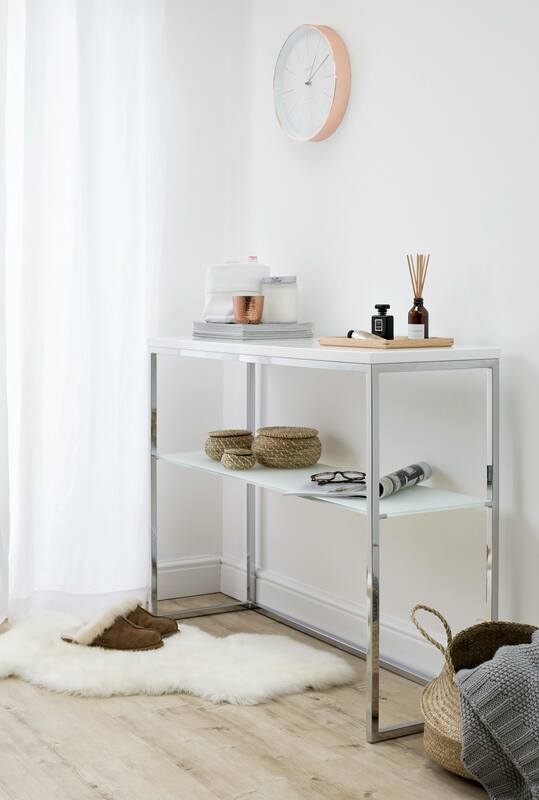 We’ve created a series of Airbnb Basics to supply you the best tips and tricks on looking after your Airbnb home, be it cleaning, styling or furnishing. This is your one stop Airbnb beginners guide. House / Liability Insurance- Airbnb offer some sort of coverage, but it's a good idea to make your insurance company aware when you start Hosting on Airbnb, and also explore your other insurance options. 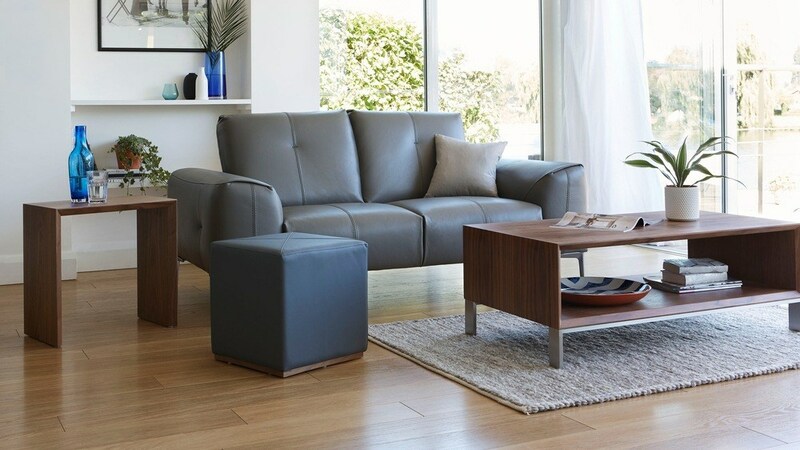 Remember to add your furniture to any insurance policy too. These are investment items and you want to make sure you're covered should anything happen... Insurance isn't all about electricals! Costs, Taxes and Fees- As with most sharing sites, there will be some applicable costs. Again, we highly recommend reviewing Airbnb’s post about what you’re likely to be charged when being a Host. House Rules, Safety Card and First Aid Box- When sharing your home or letting it out, you must make sure to lay down some ground rules, along with safety information. Look at a Welcome Pack, with all the do’s and don’ts, Safety information, emergency numbers and have a first aid box clearly posted. 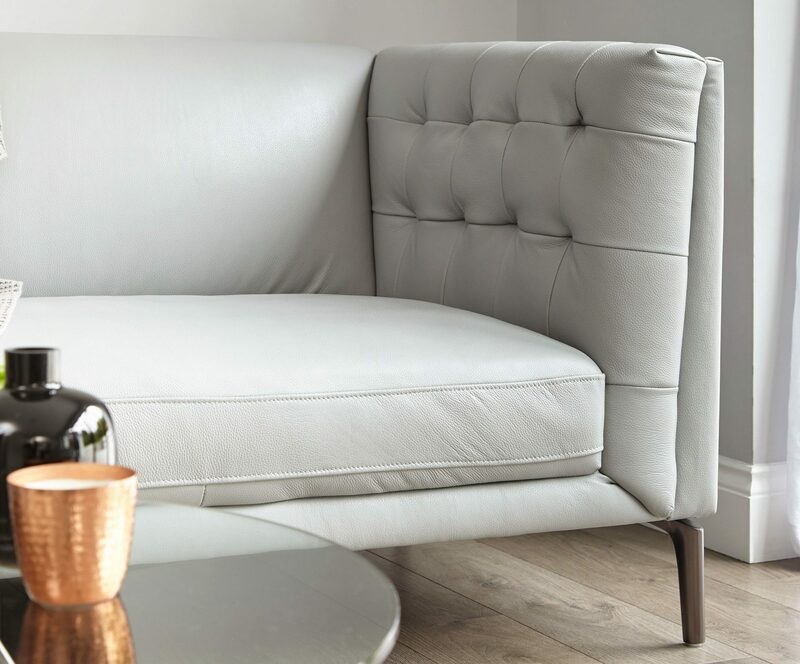 Stylists Tip: Be sure to include any 'no snacking zones' and how to care for you furniture in your House Rules- let your guests know these are to be followed and respected. Private rooms- You’ll have your own private room, however the rest of the property will be shared. Entire homes / apartments- You’ll have the entire property for yourself. These are great for those big family trips away, or if you just prefer your privacy. Lighting is so important! 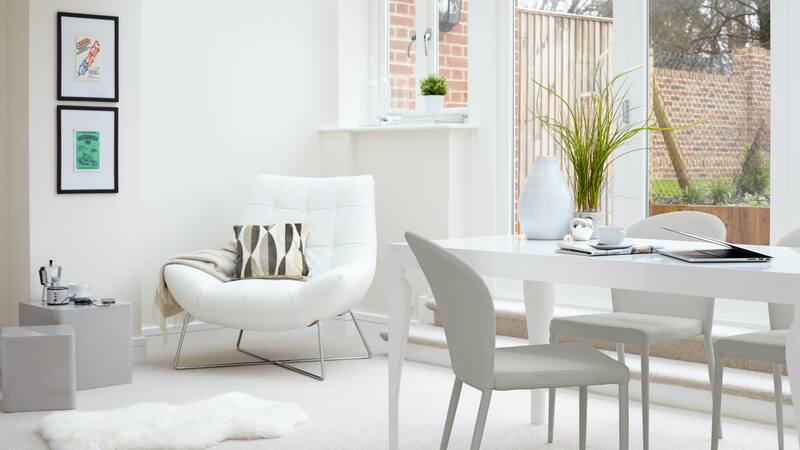 A bright and airy room flooded in natural light will always appear more appealing. Avoid synthetic light, and photograph your home in the morning, when the lighting is spot on. De-clutter. 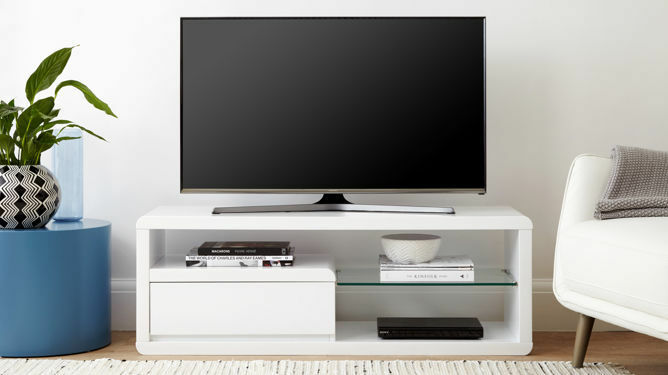 Make your home look like the pages of your favourite interior design magazines by removing any remotes, mugs, washing, children toys etc. 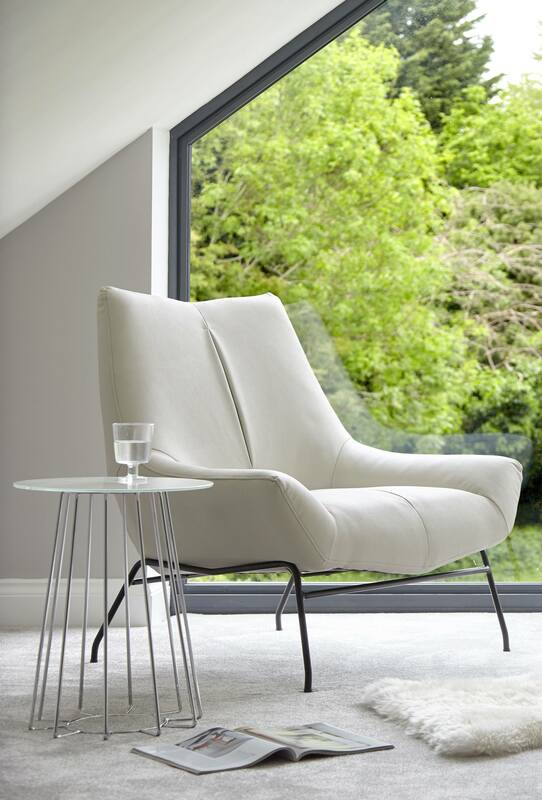 Your home wants to look like the perfect getaway / relaxation zone. Stylists Tips: Add a strategically places mug and magazine to make your home look lived in, but uncluttered! Get back and capture the entire room. You could use a wide angled lens to get more of the room in, but you don't want that 90’s fish eye effect. Just get back as far as you can, even if it means moving some furniture. The more your guests can see, the more likely they are to book with you. 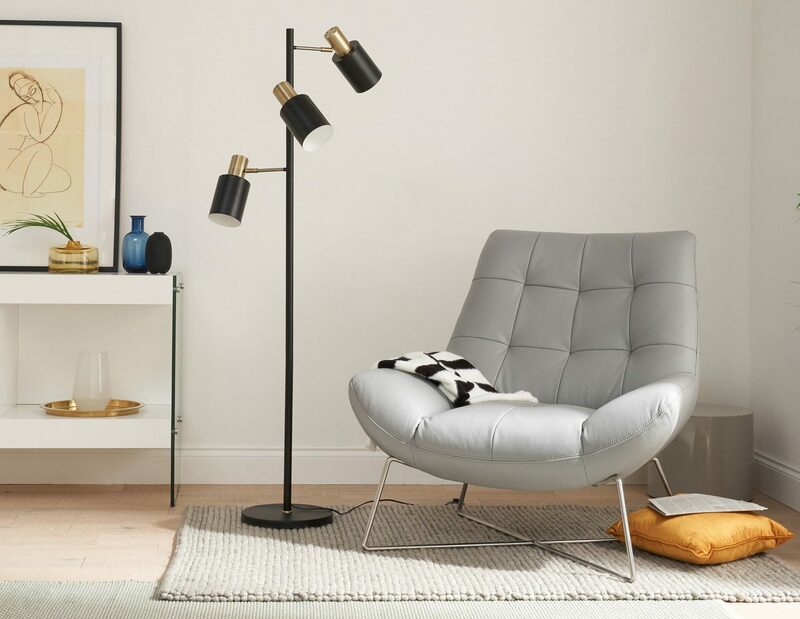 Once you're ready to be a host(ess) with the most(ess), you need to make sure your home is practical for weekly new guests and also stylish, so people see your listing and want to stay. 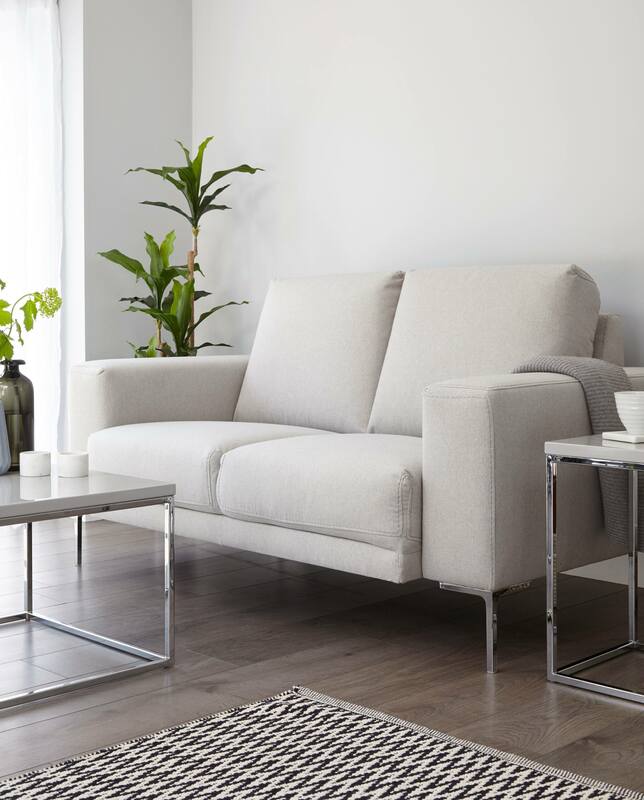 Luckily for you, we’re masters in creating beautiful interiors, so heres our tips for the perfect Airbnb home makeover. The biggest thing to remember is that, although you are careful in your home, other guests may not treat it the same. 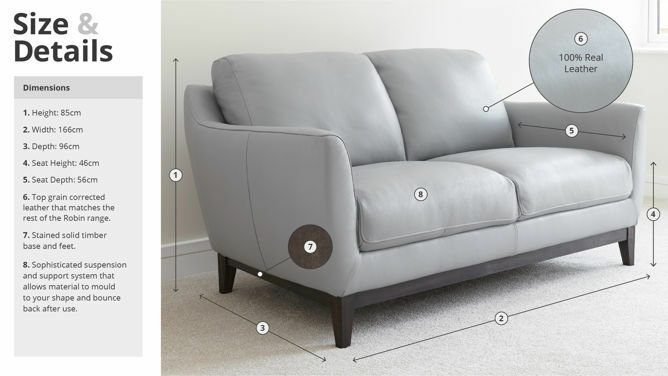 That's where tough and durable furniture comes in. 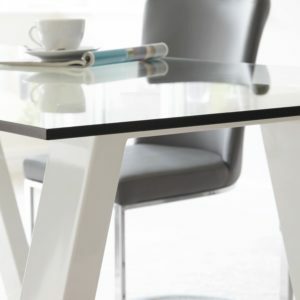 Some of the most durable kitchen table finishes on the market are Tempered Glass and HPL (high pressure laminate). 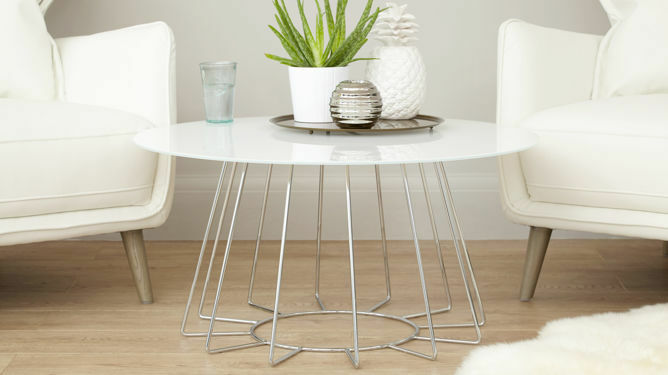 The Zen 6 seater Glass Dining Table is a perfect option for letting out your home on Airbnb. 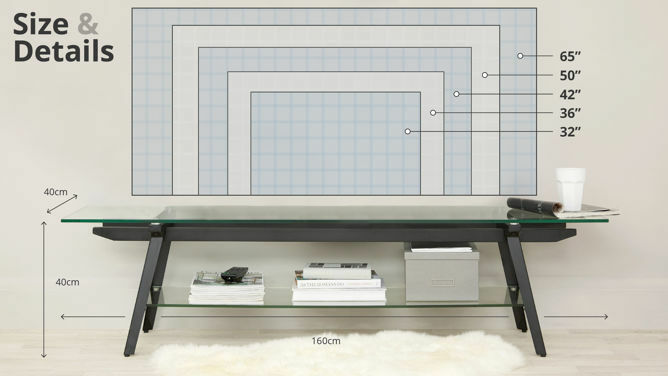 With a 10mm thick Tempered Glass top, this makes the table extra strong and resistant to breakage. 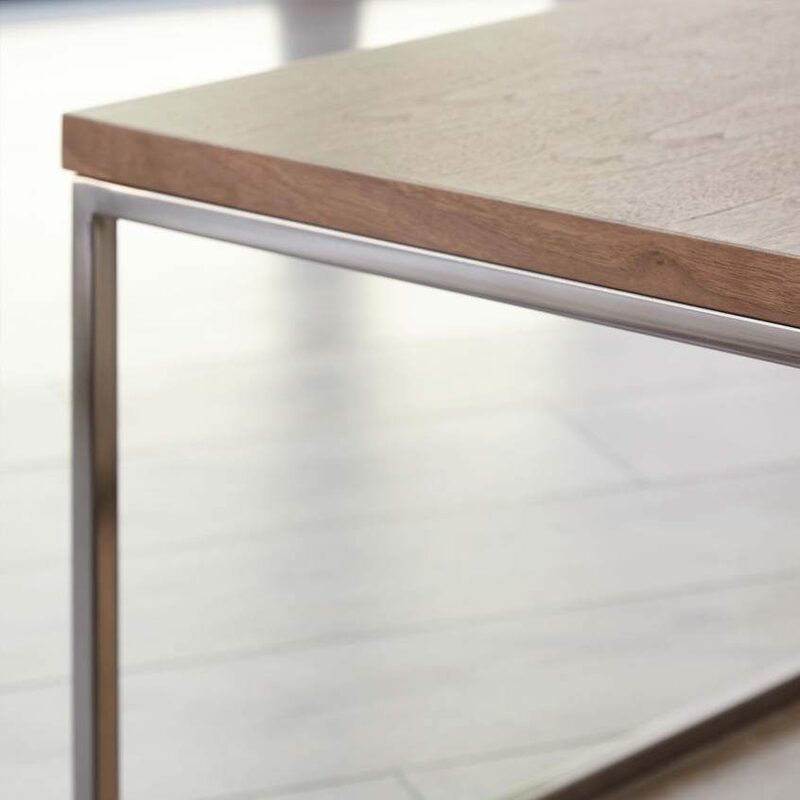 As tempered glass will not splinter, the Zen Dining Table is also a kid friendly dining table. 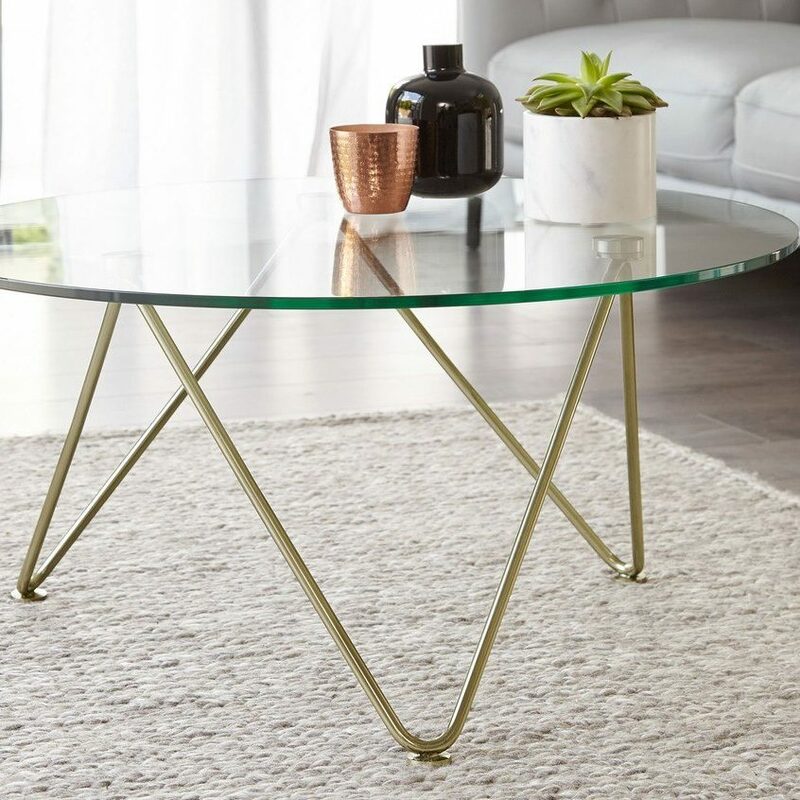 Plus, the sleek ‘V’ shaped gloss legs mean this 6 seater glass dining table is ticking all the boxes for modern interiors. 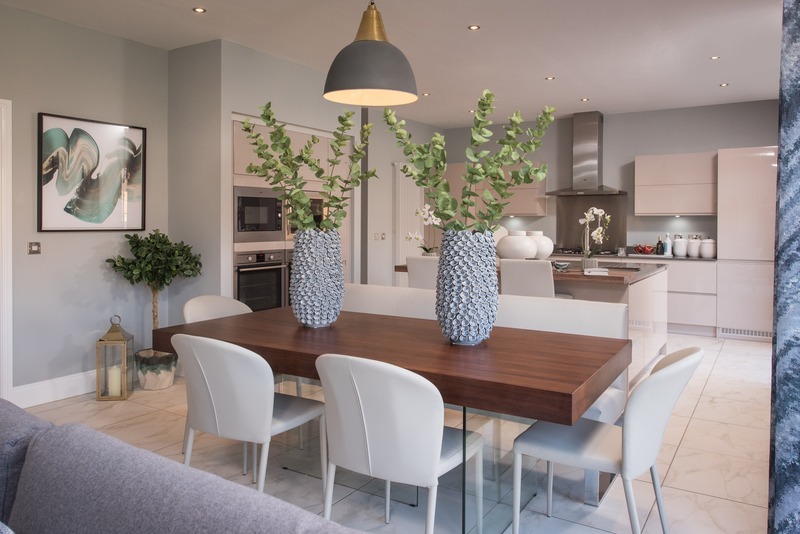 Stylists Tip: A Glass Dining Table allows light to flow through you room, helping with those all important interior photos and creating a light, airy kitchen! 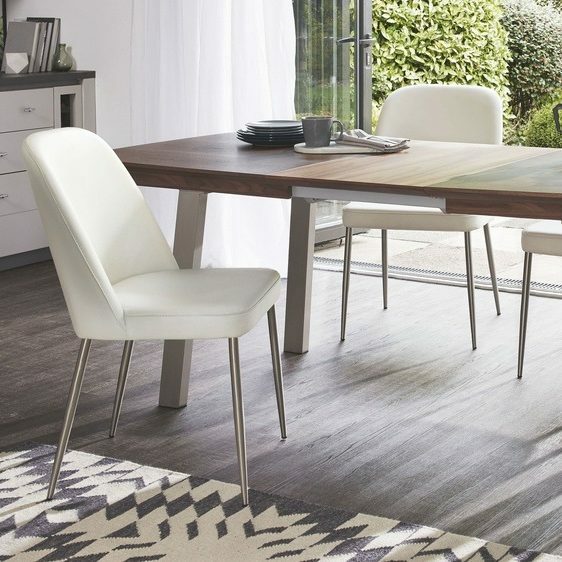 If a Glass Dining Table isn't your style, but you still want a durable kitchen table finish, take a look at our Ellie Extending Table. 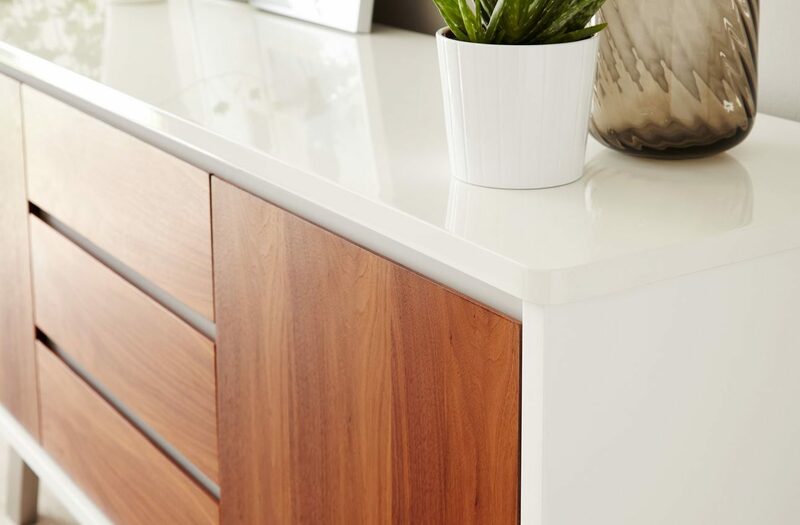 Made from HPL, this is one of the strongest, high performing materials for the home. HPL is able to withstand a temperature of up to 180ºC, but we would recommend using coasters anyway! Still unsure what HPL is? 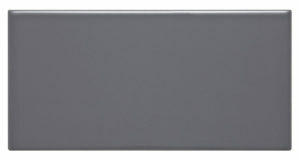 Take a look at our Material Spotligth: HPL post to find out more. Secondly, you have to have wipe clean surfaces. 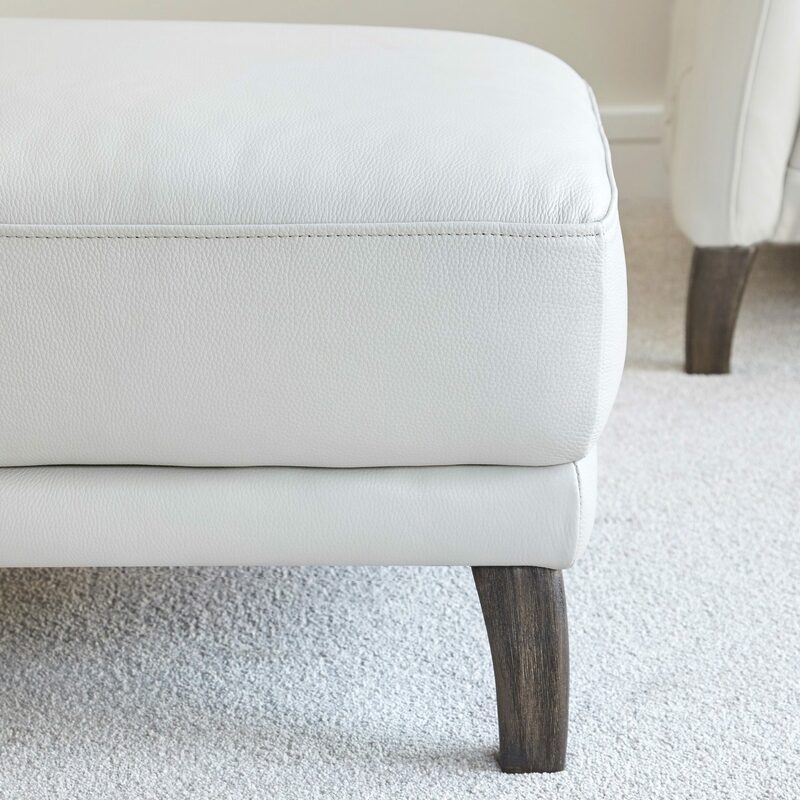 There's nothing worse than scrubbing coffee stains out of a solid oak dining table, or trying to get red wine off of your favourite leather dining chairs! Let's face it, you can't watch your guests 24/7, so making sure your home is easy to keep clean is paramount. 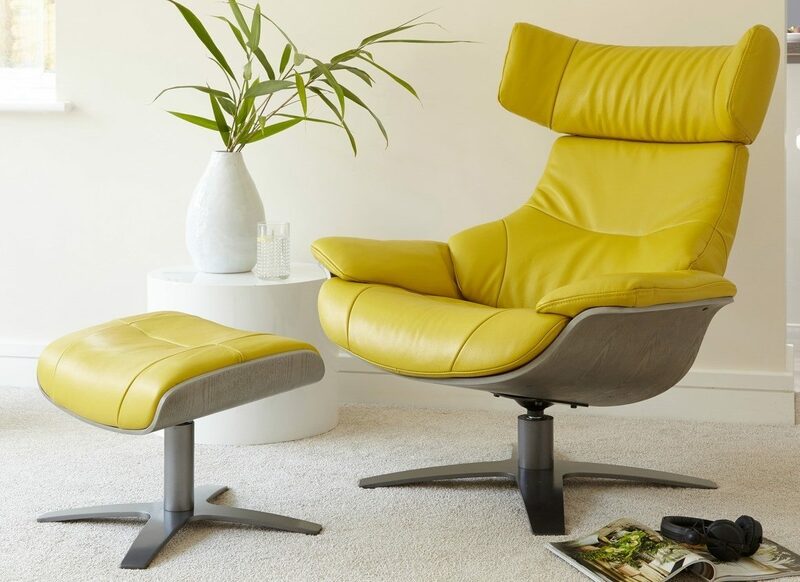 If you want to add more protections to your leather or faux leather dining chair, make sure you protect with a quality product, such as scotchgaurd fabric & upholstery protector. 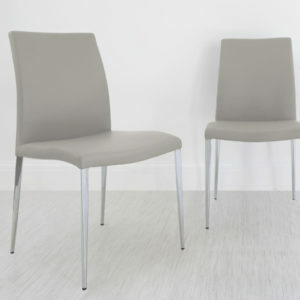 This will coat your chairs in an extra protective layer to repel those unwanted spills and prevent any nasty stains! Wipe table with a clean cloth, soaked in a solution of warm water and fairy liquid. Make sure you cloth is rung out well. Wipe up any spillages as soon as they happen to avoid any staining. If you do find a stain, use a non-abrasive cleaner such as a magic sponge, or try adding a touch of vinegar to your cleaning solution. 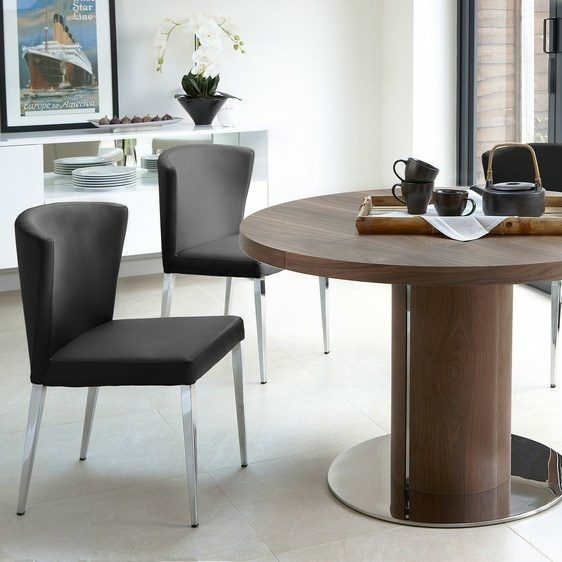 Take a dry, clean micro-fibre cloth to buff away and water makes, and keep your table streak free and sparkling! 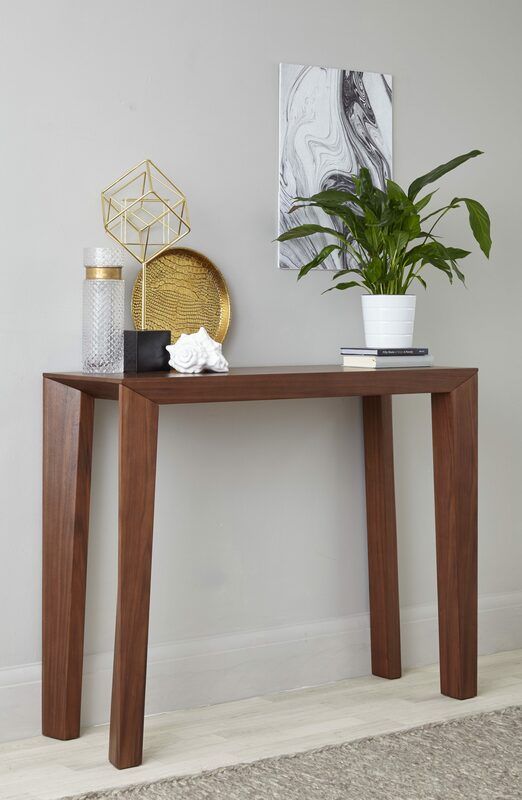 Stylists Tip: If your table however does require specialist care, like a solid oak table, make sure to include this in your House Rules, so your guest know straight away to take extra care! One of the key things potential guests will be looking at when browsing Airbnb is open, light and airy spaces. No one wants a home which is cluttered, dark and dingy. That's where compact furniture comes in. 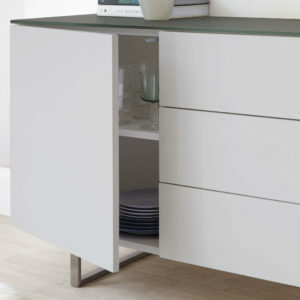 Although smaller, this handy space saving furniture for small apartments is ideal for rented properties. 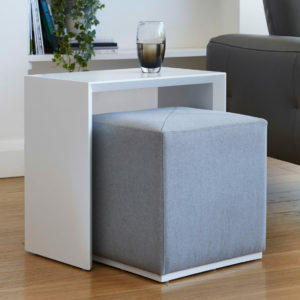 By having smaller, compact furniture, it means your space will feel more open, while still offering practical storage solutions. Which, as a result, will be much more appealing to potential lodgers! 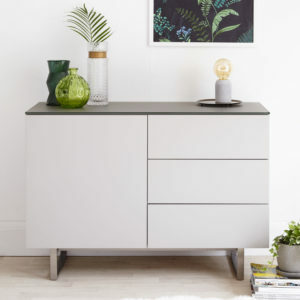 Our Eve compact sideboard has a high gloss finish and matt tempered glass top (durability) and is a stylish piece for any hallway, living room, dining room or bedroom! 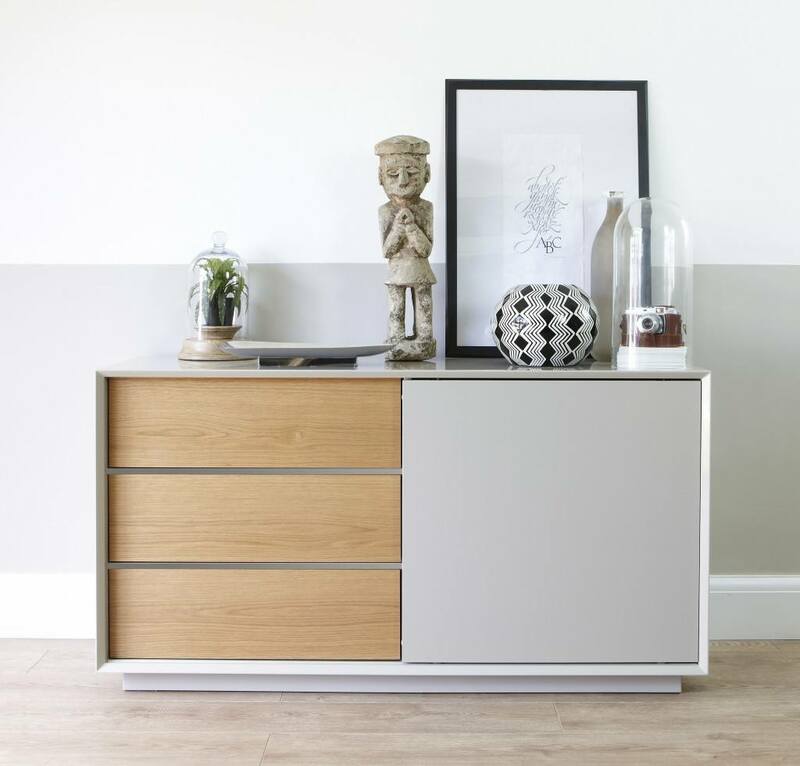 Plus, for you part time Airbnb Hosts, a compact sideboard with drawers a good idea to tuck away any personal items and mark as an out of bounds area. 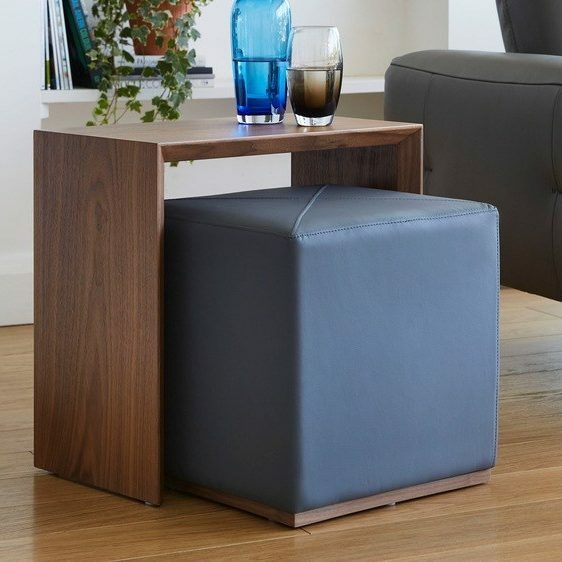 Multi-purpose furniture goes hand in hand with compact furniture. These clever space savers are ideal for rental properties and first time Airbnb hosts. 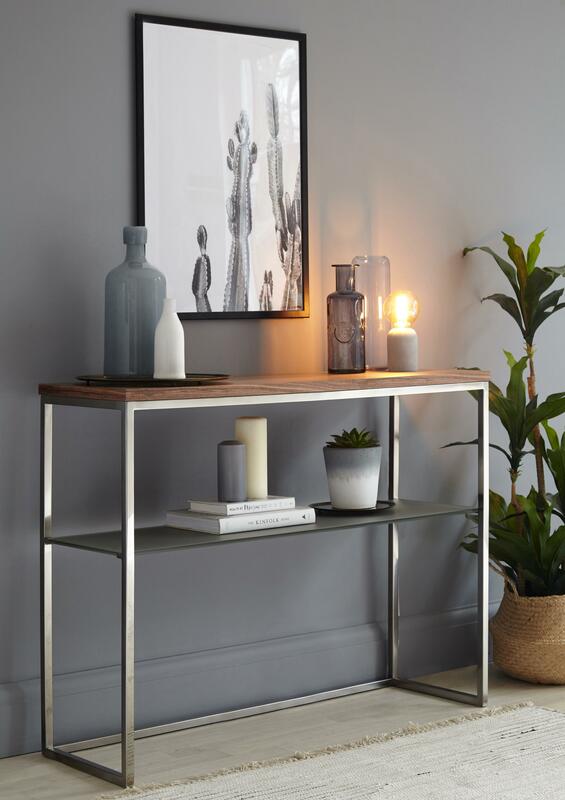 Be it a side table which hides a footstool or a Console Table which doubles as drinks cart, there's no denying the possibilities are endless. 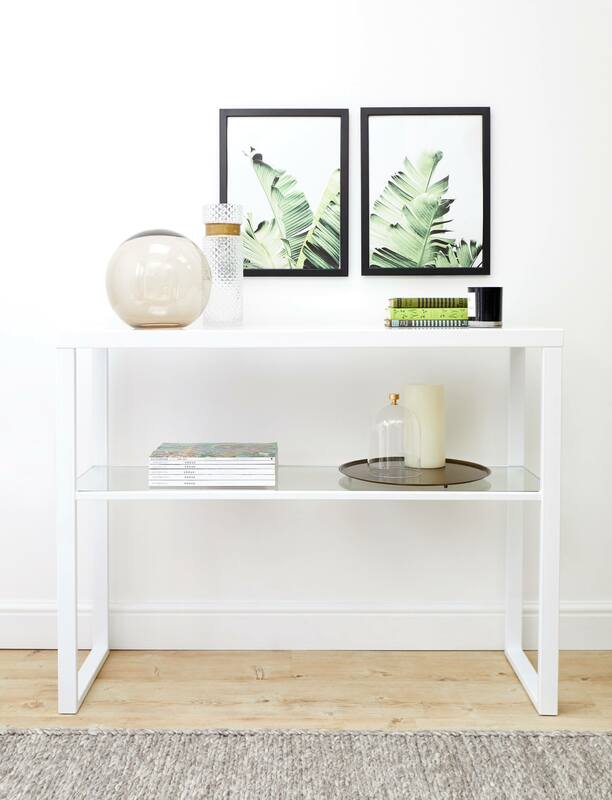 The Fern console Table is a practical extra surface but also ideal for showcasing your favourite items. 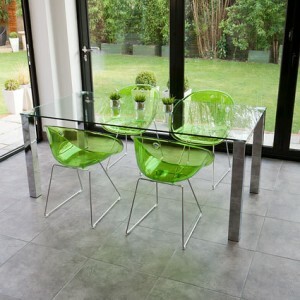 The high gloss finish also helps reflect light back around your room. 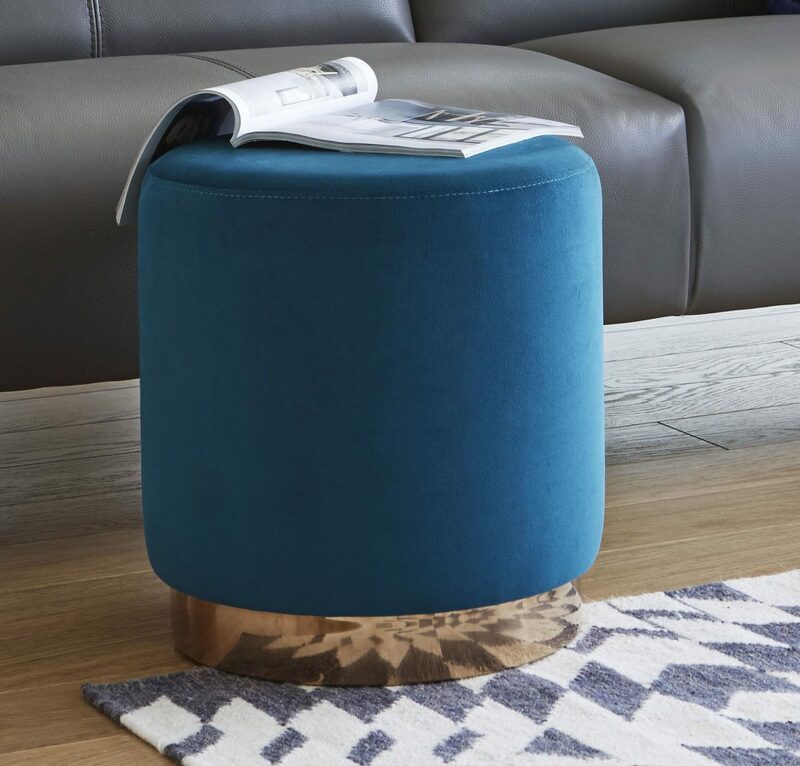 Much as the Fern Console Table is multi-functional, the Duo Side Table doubles up as a table for remotes, lamps and magazines, while the pouf which tucks neatly inside can be pulled out as a perfectly sized footstool! Multi-tasking at its finest! When looking for an Airbnb property, 9 times out of 10 people will be looking for new experiences. You want your home to be that new experience, something different from the day to day. Although you cannot physically give them a new experience, you certainly can give then a new interior experience. Stand out from the crowd with a Dining Corner Bench and create a multi-functional American Diner style booth. Dining benches are such a focal piece and add so much style and class to a kitchen / diner. 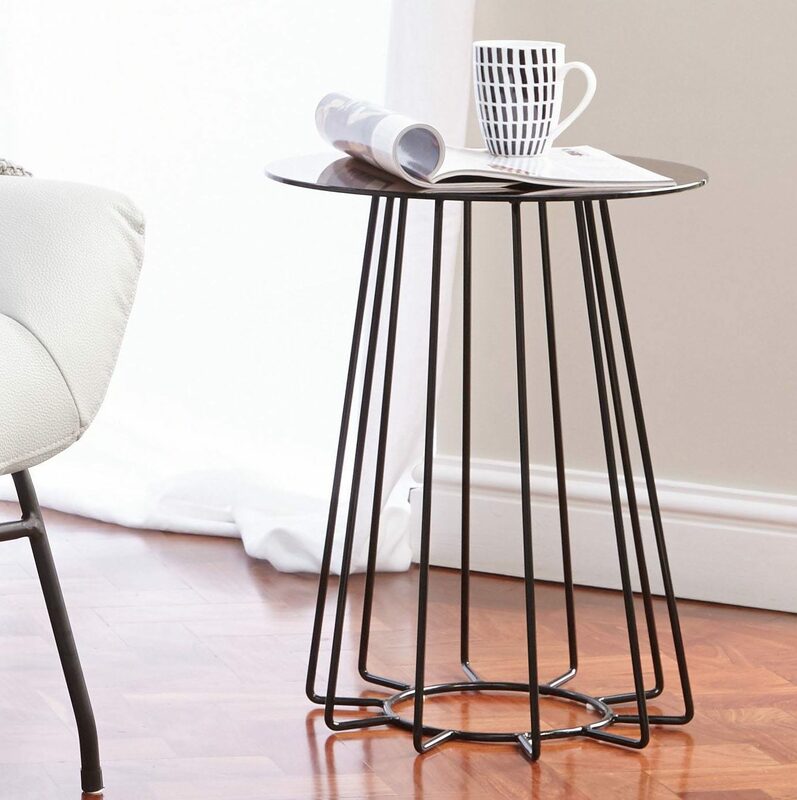 The Loop Bench Range offers multiple sizes and styles to suit any home interior. 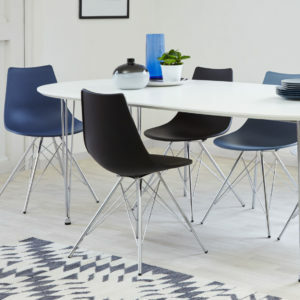 Combine a corner bench with a backless upholstered dining bench, or perhaps a mix and match of dining chairs and a 3-4 seater dining bench with backrest. 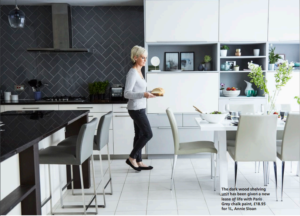 Either way you'll have a totally desirable and magazine worthy kitchen. So now you have the basics to getting started on Airbnb. Don't forget to read through all the FAQ's over on Airbnb and familiarise yourself with the safety tips and tricks. We've got so much more to share with you when it comes to getting your home Airbnb ready! Keep a look out for the next post in the series, where we will be talking through all things colour and getting the most out of your Airbnb listing! 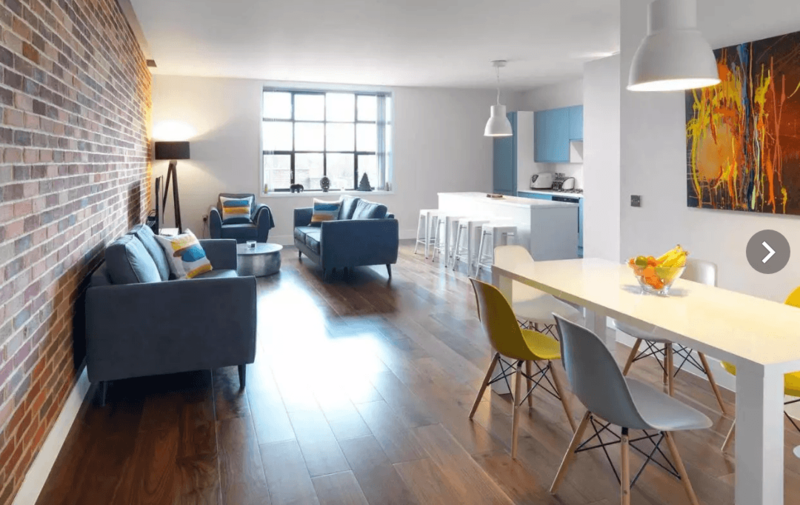 Have you got any Airbnb hosting questions? Submit them below and our experts will be sure to get back to you. In the meantime share your Airbnb interiors with us by tagging us in your pictures and using #mydanetti. First of all, before starting your own home makeover it's key to do your research. Pinterest is a great place to start. 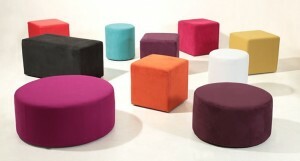 Look for colour, themes and prints which excite and will fit in with any existing furniture. 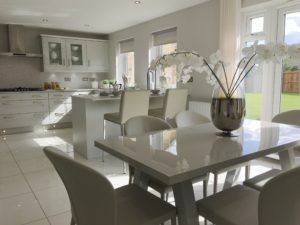 As you can see with Judy's home, House Beautiful chose a relaxing colour palette of whites and greys. 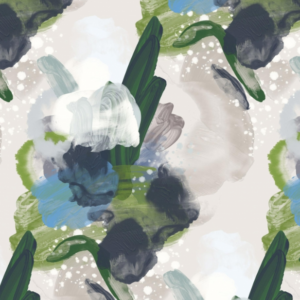 This has been balanced with a hint of blue and pale aqua and abstract floral prints to add interest. 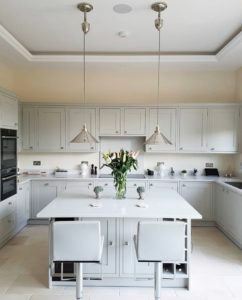 Check out Farrow & Ball's Cornforth White; an understated grey; not too cool, and not to warm either. Add Topps Tiles Matrix tiles in black for contrast and Feathr's English Rose wallpaper in Forest to warm things up. 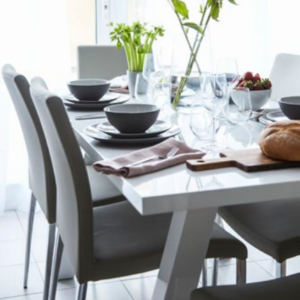 Once you have selected the colours and textures you want to use, its time to decide on the most important piece of furniture for your kitchen; the Dining Table. 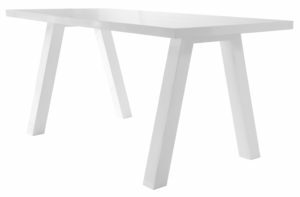 Continuing the modern theme, maybe think about choosing a White Gloss Dining Table. This will compliment with the shiny tiles, and reflect all that beautiful colour! 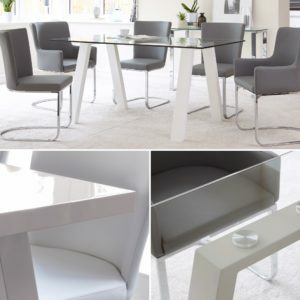 Our Zen Dining Table in white Gloss works perfectly within our moodboard, and is exactly what Judy has in her own home! 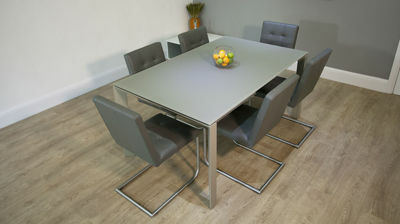 The Zen Dining Table also comes in Grey Gloss and Glass with White or Grey Gloss Legs - A design for every home! 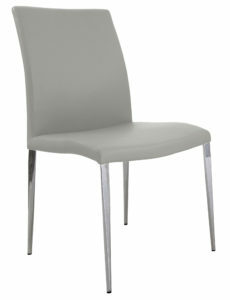 Judy loves to entertain around her new Danetti Dining Set! 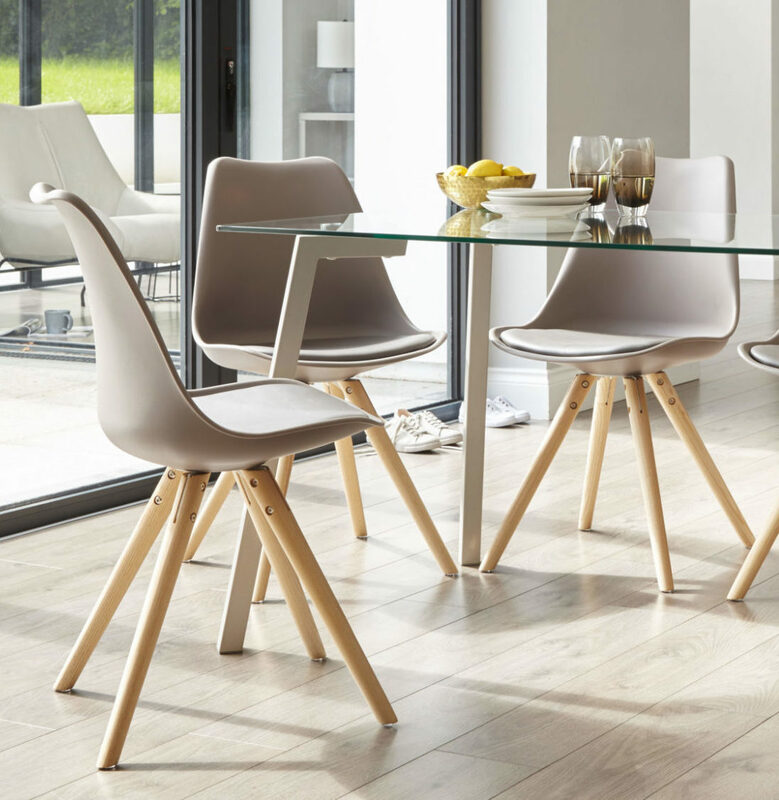 If you wanted to inject a bit more colour, the Elise dining chair comes in 9 different colours, meaning your sure to find the perfect shade for your home. 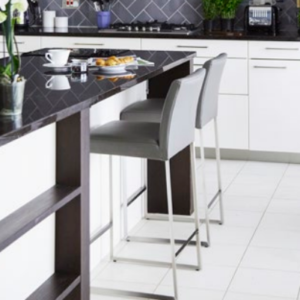 To finish off the perfect Danetti home makeover, you'll need some barstools for quick breakfasts and socialising during dinner parties! 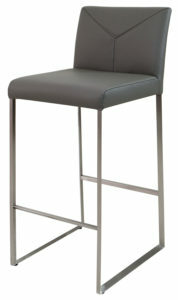 In addition to the Leather Elise Chairs, Carry this through to your barstools too. 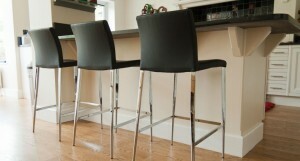 House Beautiful have used our Monti Real Leather Bar Stools in Charcoal Grey. 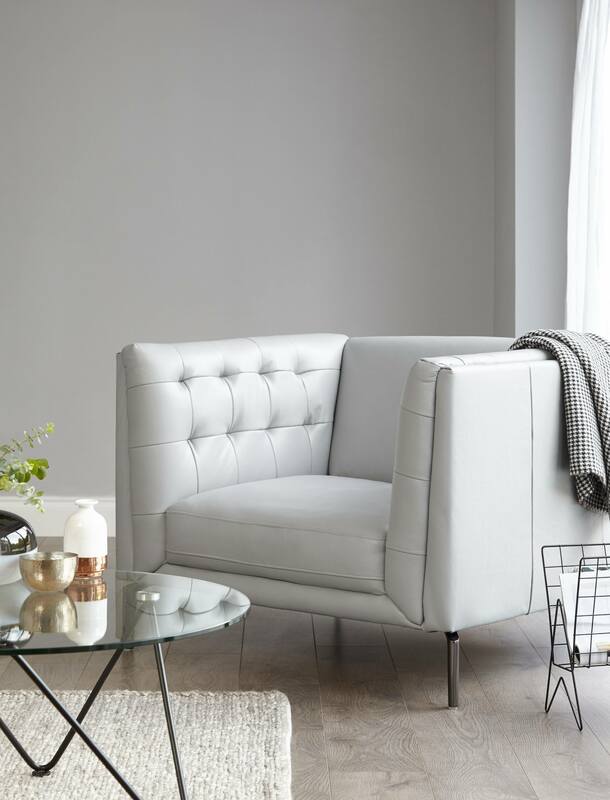 By using a different shade of grey this stops the room looking too co-ordinated and twee. 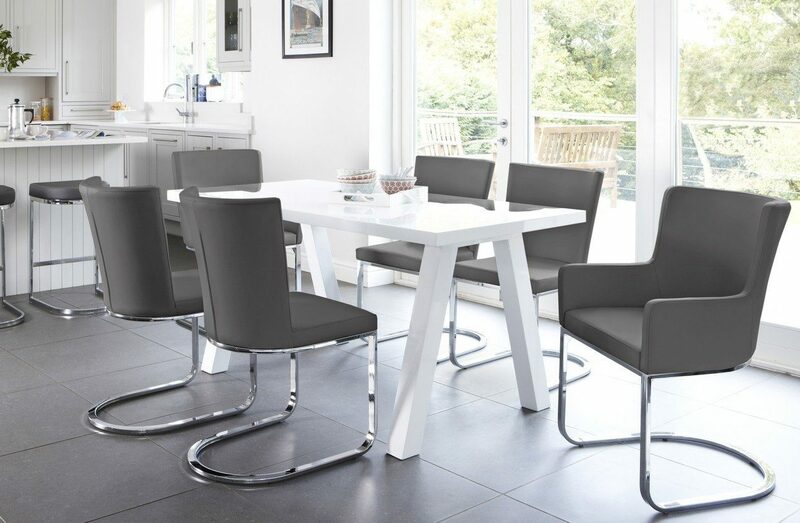 Again, as with the Elise Dining Chairs, the smooth matt finish of the Monti Bar Stool is the perfect opposite to that gloss kitchen island. And finally, no home makeover would be complete without the finishing touches. 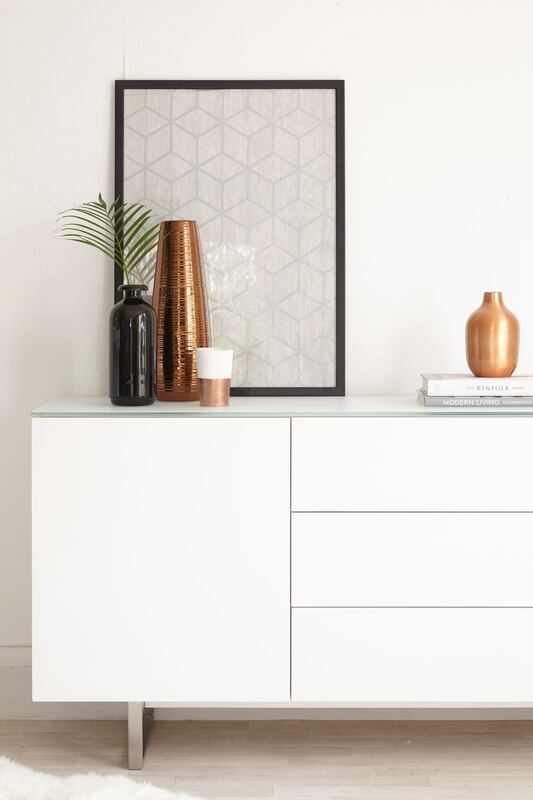 Probably the most enjoyable part of a renovation is shopping for those little bits and bobs, and placing your favourite items in prime position for all to see. 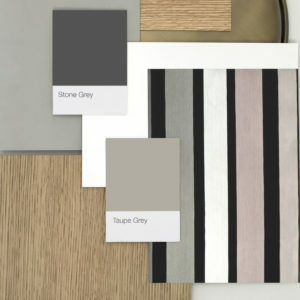 Because our colour palette is pretty neutral, the addition of warmer pieces will help lift the room and add character. 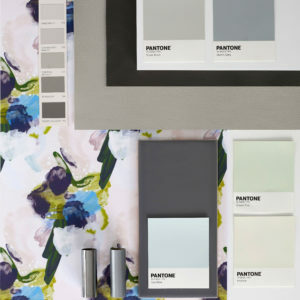 By sticking to shades from our statement wall paper, you're able to pull the scheme through from one room to the next. Same as our floral wallpaper, adding a touch of foliage and greenery will breath life into your home, while remaining on trend. 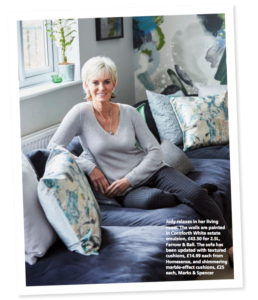 5 simple steps to you very own Judy Murray home makeover. You can check out the full article right here on the House Beautiful website. If you decide to use any of these tips, be sure to share your snaps with us, with the chance to be featured on our Facebook, Instagram or Twitter pages! Just remember to tag us and use #mydanetti! 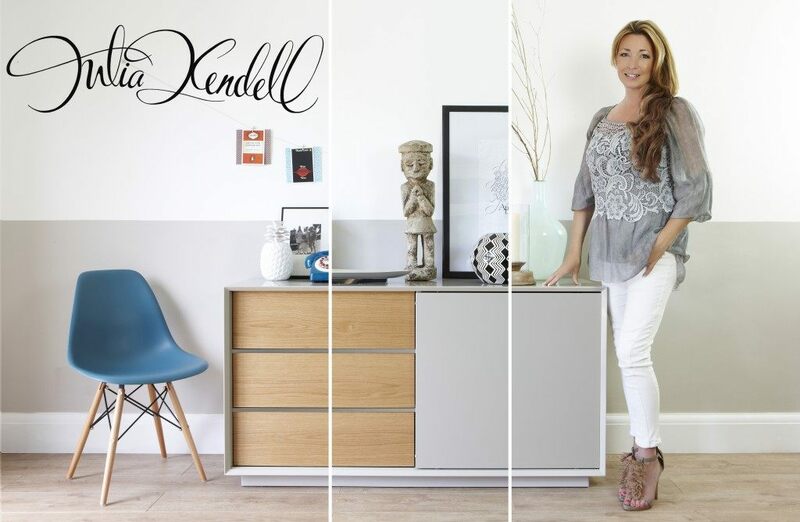 Take inspiration from our stunning new ‘Exclusively Danetti with Julia Kendell’ range of sideboards and see how versatile the collection is. 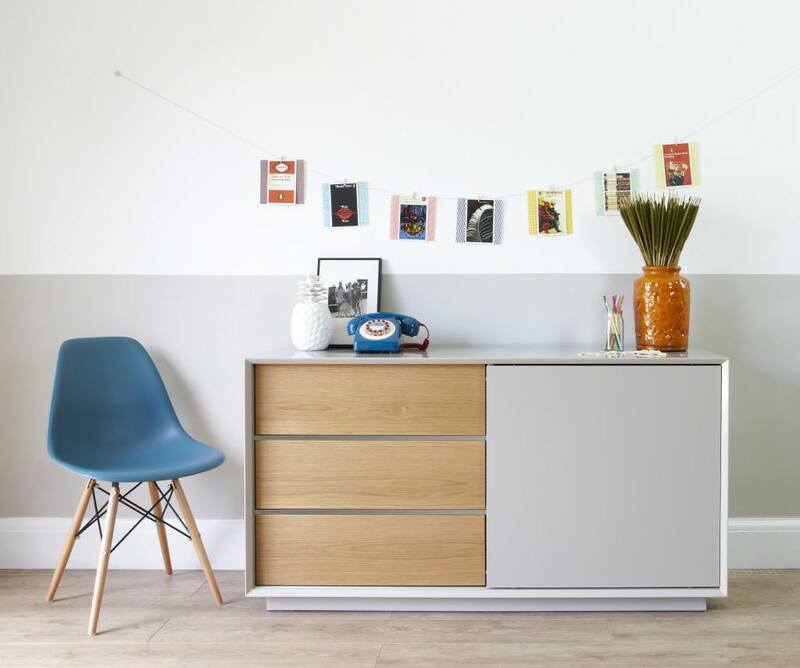 We worked with Julia to create three very different looks using the same sideboard. It’s so important to us that this range is versatile so we wanted to show you how it’s done. See how these looks can be achieved easily and used to enhance a variety of styles. Think outside the box and let your imagination do the styling! Use a few bold shaped items but in pale colours. Look for dried flower heads; hydrangeas and cow parsley work well. Twigs or something with height will add impact and substance to the look. You don’t have to buy them though, we just picked ours from the woods! 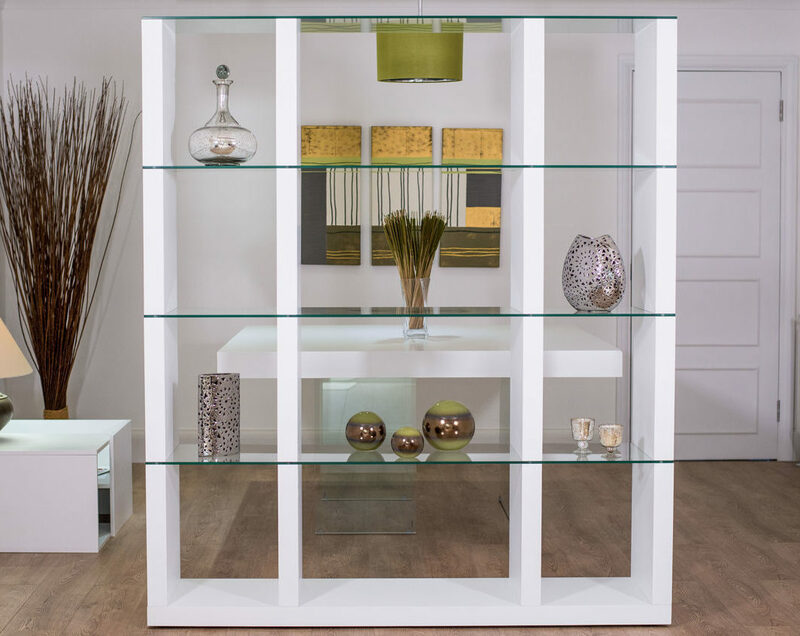 Layering up a few different clear glass pieces will add interest without being intrusive. 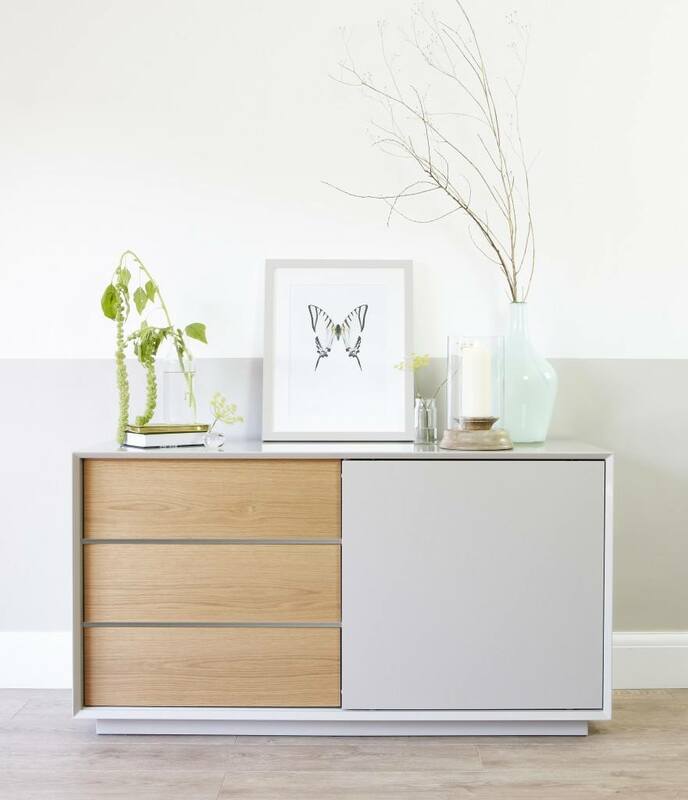 A simple framed print in soft colours will give the sideboard a focal point. For this look Julia opted for purposeful central placement. Cloches are a great way to showcase something simple and unusual - Julia used an old camera and a plant; even the simplest object is elevated to something special under a cloche. One striking piece will give your collection a focal point, Julia’s wooden statue from Kathmandu was her choice for this ensemble. The contemporary zig zag vase helps set the scene and Julia then used touches of black and white throughout the selection to tie them all together. 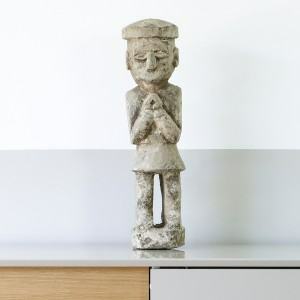 The ceramic we chose has a vaguely tribal feel, perfect for this look. Use something living like an orchid or a leafy fern to breathe life into the look and stop your arrangement from appearing dusty or antiquated. Authentic artefacts aren’t essential to this look. The best thing is to use something that means something to you, a piece that you love. But failing that you can get some amazing ‘global chic’ items in charity shops or on the highstreet. 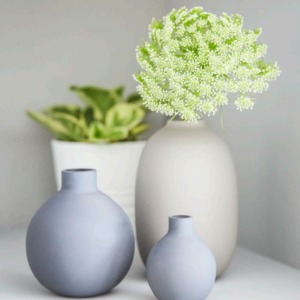 One of our go-to places for inexpensive but great quality props is Homesense. Although this might not be the most obvious look for this fabulous collection as it has a contemporary retro feel to it. It feels playful, fresh and bright and would be at home in any family living space. Julia managed to bring something new to the retro look with some lovely styling ideas. There is a fine line between stylish and kitsch with retro styling. Remember you want it to be more Conran less Austin Powers so get the balance between retro and contemporary right. Choose a few pre-loved or nostalgic accessories in bright colours to kick start your look. We used the bullseye telephone and the ochre coloured pot filled with bull rushes give the sideboard enough of a nod to the retro, without looking too themed. 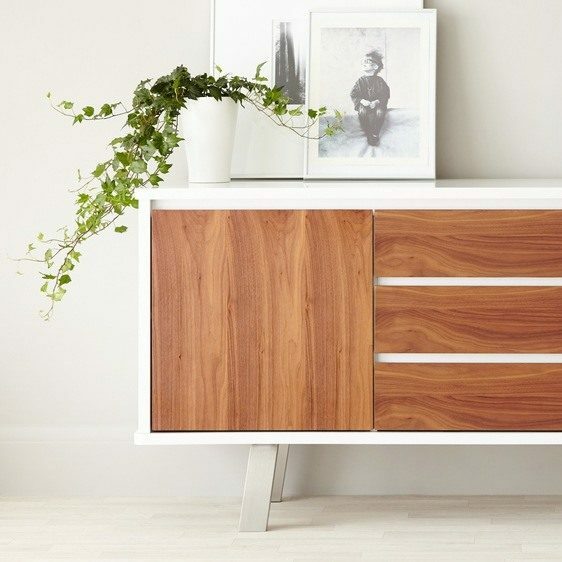 Add a few more sharp, contemporary products that will give it a really updated feel. The juxtaposition between the new and the old will give a designer styling look. Introduce something individual and cool. Julia used string, mini clothes pegs and a selection of Penguin Classic book cover postcards to create wall art. Childrens drawings of fun photographs would look great as well. A pendant light hanging over the sideboard is a great idea and can be themed to match the scheme - this globe style light is typical of the 60’s era. To see these looks come to life, check out the video and comment telling us which you like the best. 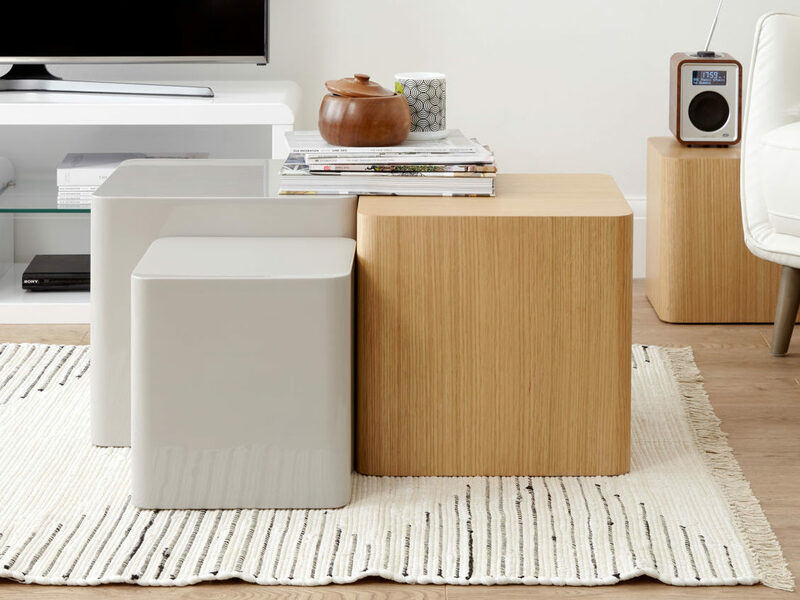 One of the secrets to a modern and stylish look in your living space is keeping on top of clutter by using clever storage solutions. 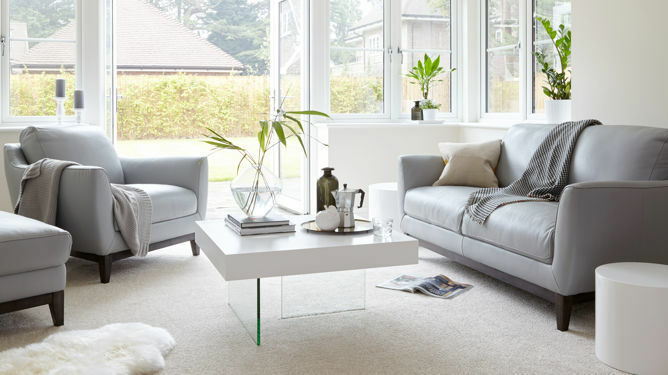 When living rooms are used for lots of different purposes - they often have to double up as a home office or play room - then accumulated clutter in the lounge can quickly make the space look messy and disorganised. 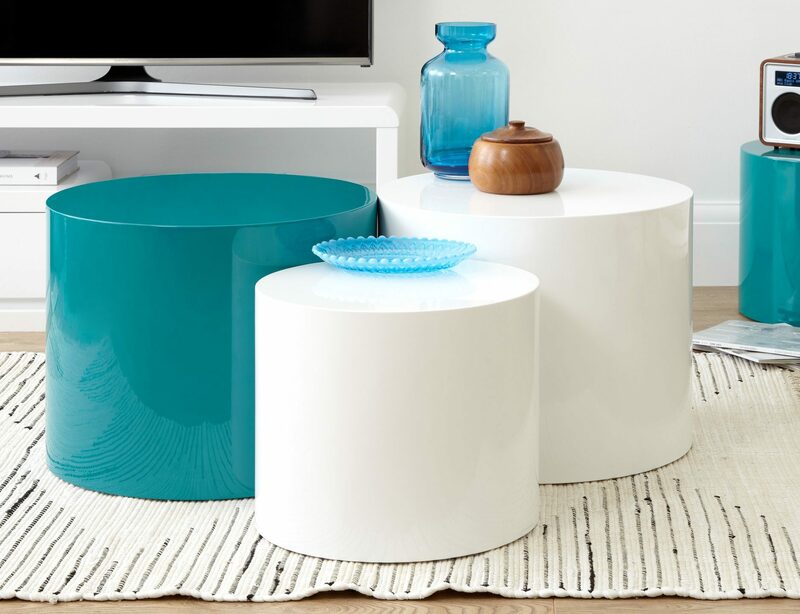 Restore calm back to your living room with one of our contemporary coffee tables with hidden storage. 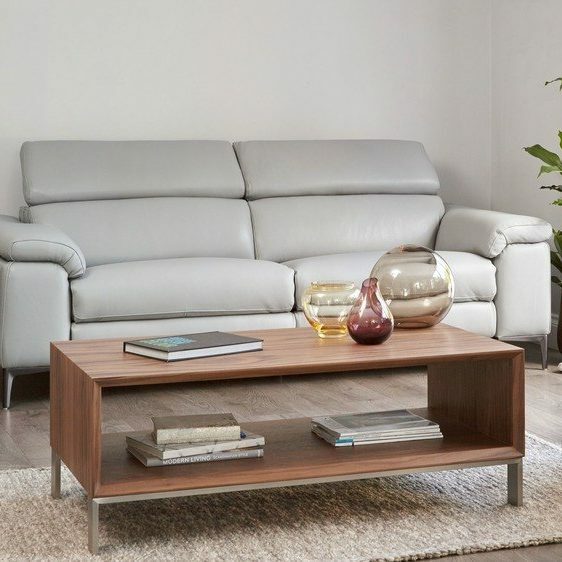 The white high gloss Denza Coffee Table is a fabulous long rectangular coffee table with hidden storage within it. 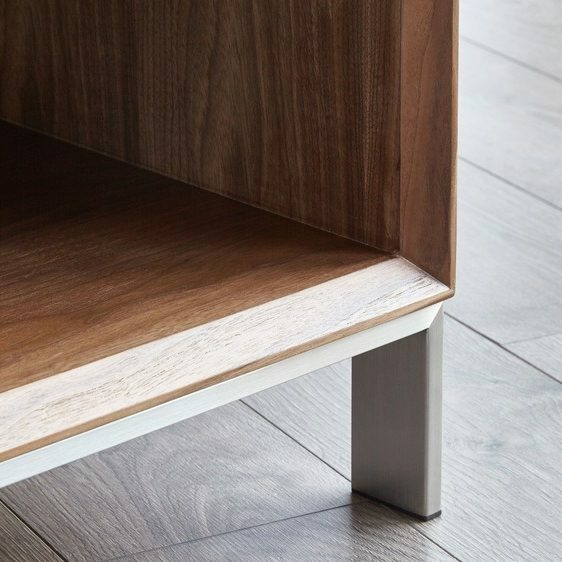 The lid lifts up on hinges at either side to provide a handy storage area to hide all that clutter! 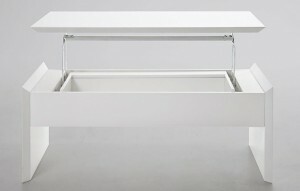 The edge of the lid creates a design feature with its smooth curves. In addition, the lid can be locked into the raised position so that you can balance a laptop or TV dinner upon it! 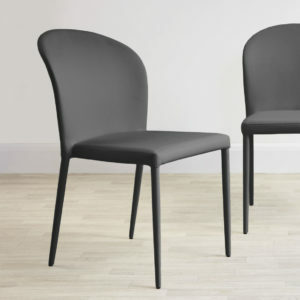 The two legs of the Denza are looped with rounded corners, to create a stylish finishing touch. 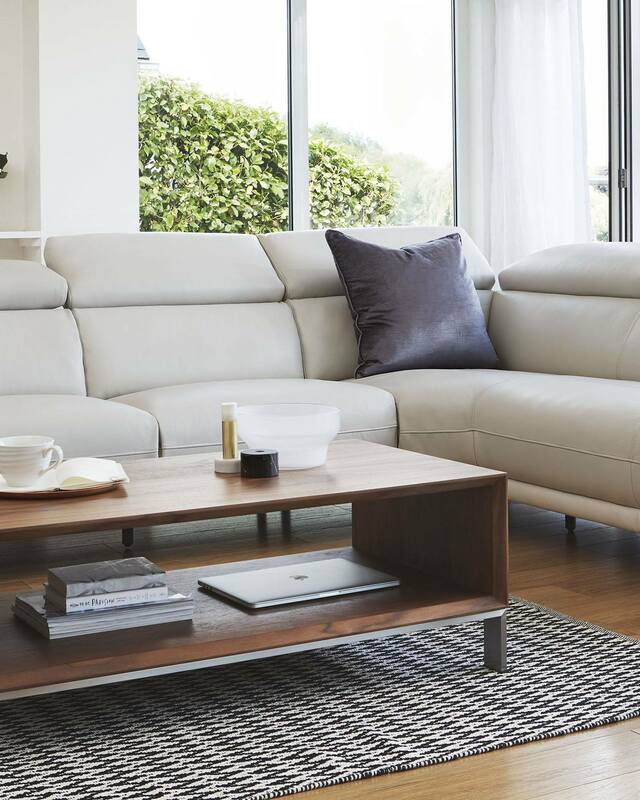 The perfect rectangular white gloss coffee table for modern homes. 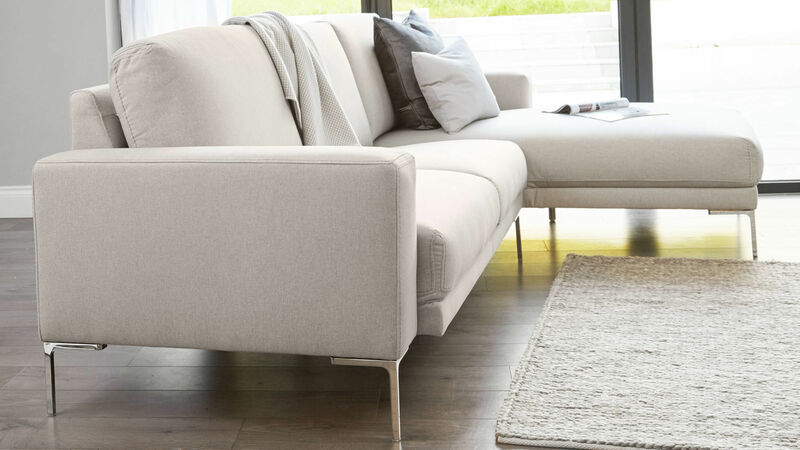 When you want to relax and unwind with your family and friends you need comfortable casual seating that will also fit in with your modern decor and room layout. 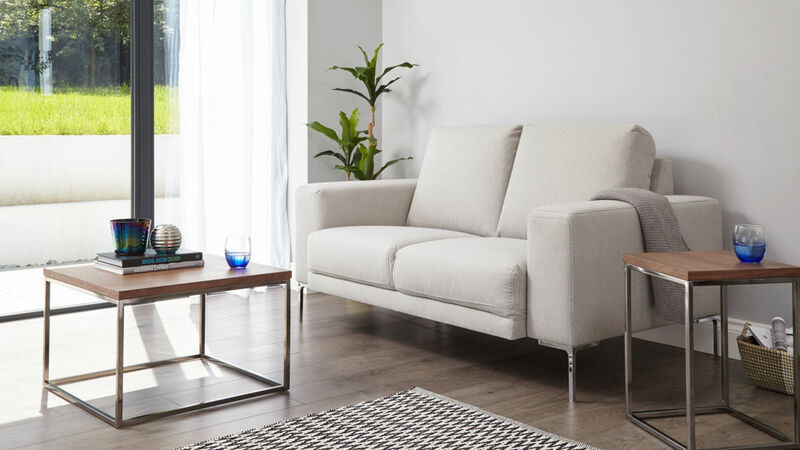 We have a selection of trendy tub chairs, contemporary cubes and flexible modular seating which can be upholstered to match your colour scheme perfectly, so all you need to do is put your feet up and relax!